Fall is here and it's time to collect seeds. 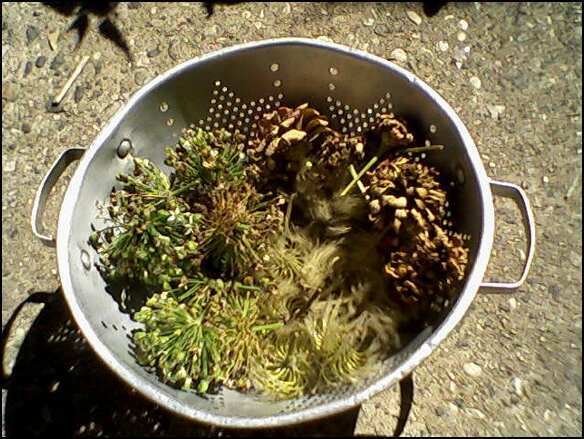 As soon as the weather dries out, it's a great time to collect seeds to store up for next year. A really great activity is to organize a swap party amongst your friends. Bring your collected treasures over to compare and swap. Make it a neighborhood event. Everybody has different likes and you can trade seeds for new plants and flowers you might like to try out at no cost. Pictured below are some recently collected seeds - garlic chives, clematis and zinnia seeds. We've also got pear seeds from the little tree that was such a hit this year. We are still harvesting cherry peppers, cucumbers and tomatoes here. This past spring, the Sweet Snack Tomatoes, Zinnias, mint, regular chives and columbine reseeded themselves and were transplanted to their new locations for the growing season. So, don't despair if you don't get seeds from all the plants. Just keep a sharp eye out in the spring for the seedlings that may spring up.